In a Las Vegas casino, an unpleasant little man hopes to use a young man's wish to impress the young woman he has just met to pressure the young fellow into accepting a macabre bet. A very rude traveling salesman forces a truck off the road, causing a delay in emergency care for an injured young man, who dies. How many episodes of Alfred Hitchcock Presents have you seen? Television in the 1950's,was pretty bland by almost any yardstick. During that period,you had the opportunity to see either detective dramas,and family comedies not to mention all of the above. That's not to say that certain series,such as the early Gunsmoke were not daring and edgy in their own way. Or that the early Ozzie and Harriet or the early I Love Lucy did not have its hilarious moments. After all, not matter how good some of the episodes were,either the adventures of a typical suburban family,bringing law and order to the Old West or following the humorous escapades of a zany housewife were not exactly novel concepts in television programming. Even the typical variety show had some flaws in them too,but sometimes was rarely notice. Two series,however did come along to challenge convertion. The Twilight Zone,by the end of the decade,attacked frontally with huge doses of imagination and exotic story lines that often overwhelmed viewers,thereby opening America's living rooms to the expanding world of unthought not to mention unheard of possibilities. It was an original,and it remains to this day a standard classic appreciated by one and all. However,the ground breaking series did not attack frontally. Instead in true fashion,it snuck past the guardians of Good Taste and Morality,otherwise known as the Department of Standards and Practices. 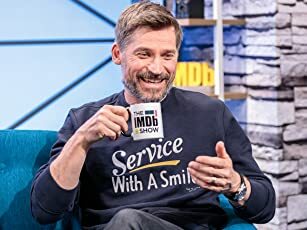 This was during the opening of each episode was introduced by a chubby guy with a British accent who could give a brilliant introduction while cracking a few bad jokes and abuse the sponsors. This is what Alfred Hitchcock's half-hour anthology series did. 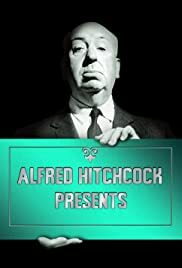 "Alfred Hitchcock Presents" made its premiere on CBS-TV on October 2, 1955,and from the opening sequence became an instant hit that stayed on the network for seven seasons(CBS-TV from 1955 to 1960,and later went to NBC-TV for its final two seasons from 1960 until 1962,all in classic black and white). A total of 270 episodes were produced for this half-hour series that was produced by Norman Lloyd and Joan Harrison,under Hitchcock's production company,Shamley Productions for Revue Studios/MCA-TV-Universal. Hitchcock himself was not only a master showman,but he was an original in which each week was for its time slyly revolutionary-to transpose within the comeuppance from the story to Hitchcock's often humorous epilogue. There the audience would learn that the culprit was punished and that justice have once again prevailed,apparently to keep the censors at bay. The storyline might end up on screen with a gruesome murder while only later would the audience be told by Hitchcock that justice had indeed caught up with the suspect of the crime. Maybe that seems like a minor change,but in fact was highly innovative not to mention significant. For now the audience could follow the plot developments,without knowing how the story itself would end,while the deadening element of predictability was transferred to the easily ignored epilogue. For its time,it was truly ground-breaking event in the history of television. And still holds that title today,and it continues to entertain,and remains one of the few television series of long ago to still be. Two episodes,both directed by Hitchcock himself are consider the best out of the entire series: "The Case of Mr. Pelham" with Tom Ewell,and "Lamb to the Slaughter" with Barbara Bel Geddes,were simply brilliant along with "The Glass Eye","Breakdown","Special Delivery",are just to name a few.